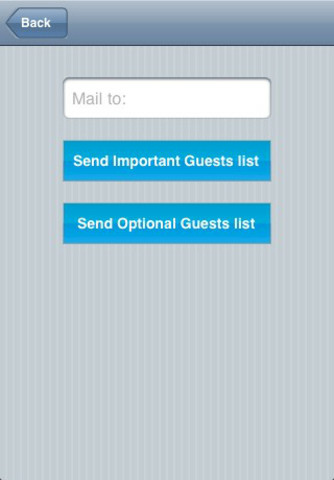 Finally, for the first time an application that lets you categorize and record guests and their responses for an event! Guest List RSVP is a very simple to use application that helps you organize the information about who is going to be coming to your event in an easy to read chronological format. Our app creates a tab delimited file that can be used to be exported/imported into any spreadsheet computer software. With this application your guests are categorized by important or optional guest for the event depending on its relevance and closeness. For each family or guest you have the option to enter the amount of people that will be attending, when they replied and their names. Furthermore, you can select from a simple scroll down menu if they will be joining you, have not replied or will not be able to attend. 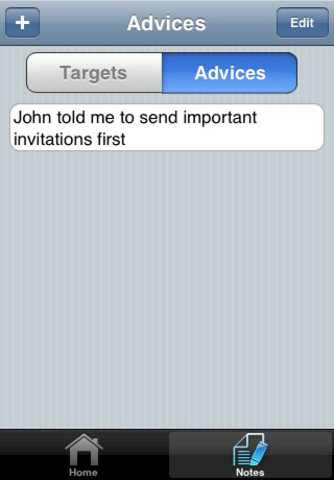 After you enter the information, it appears summarized in a list format as soon as you load the application. For your convenience we added the option to quickly send the information about guests to anyone interested such as the party planner or even yourself with the tap of the envelope icon. 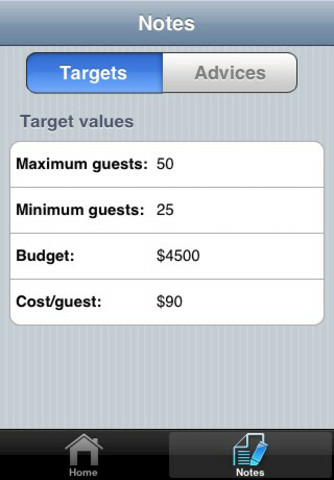 Also, in the target section you can enter the minimum and maximum amount of guests you intend to host, your budget and how much you want the cost per guest to be. Business meetings, weddings, birthday parties and family reunions among others will definitely be easier to plan with “Guest List”; since it is a great way to keep organized all the guest information in just one application! We are constantly working on improving this and our other applications; please feel free to share with us any ideas or suggestions you may have! 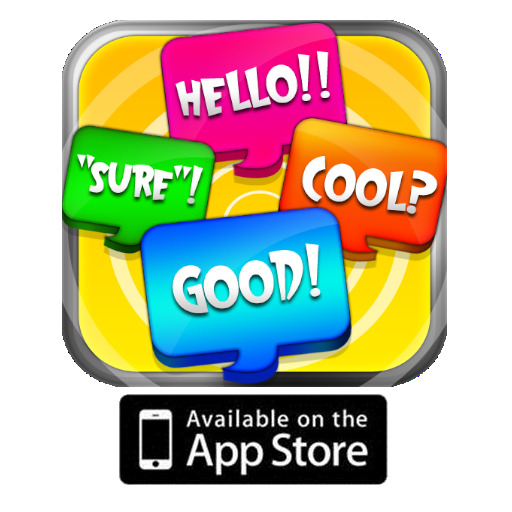 Also, if you feel like there is an application missing for your lifestyle on the iPhone, please let us know; we are always looking for new ideas to develop in order to simplify life with your iPhone! Keywords: Corporate, graduation, school, college, meetings, events, Wedding, Bar mitzvah, Business, engagement,Baptism, Bridal, Shower, Baby, birthday, house warming, bachelorette, bachelor, invitation, married, marriage, and more!